Hours: Mon. - Sat. 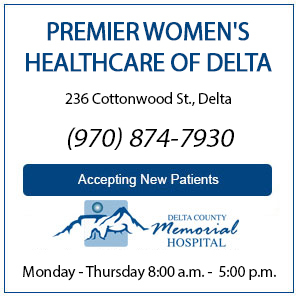 9:00 a.m. - 6:00 p.m.
Now offering Department of Transportation physicals! Walk-in's welcome! 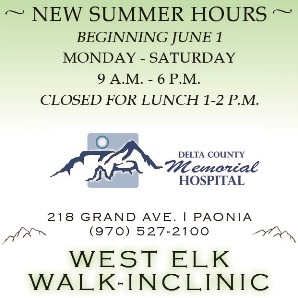 DCMH West Elk Walk-In Clinic in Paonia is proud to provide acute care Monday thru Saturday in the North Fork Valley. No appointment is necessary. Acute Care provides urgent care treatment for non-life-threatening emergencies and walk-in medical services. Acute care is a convenient option for those times when you need treatment for your minor illness or injury and a visit to your personal physician is not possible.